Many volunteers energetically supported the booth activities of LBI. 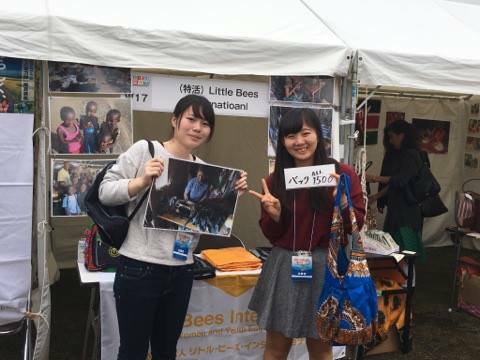 The first day was a bit rainy day but they looked so cheerful for promoting LBI actions in the festival. In fact, the day reached the record sails of the LBI bags that was made by women group including HIV victims and single mothers!! Many thanks for your contribution! !